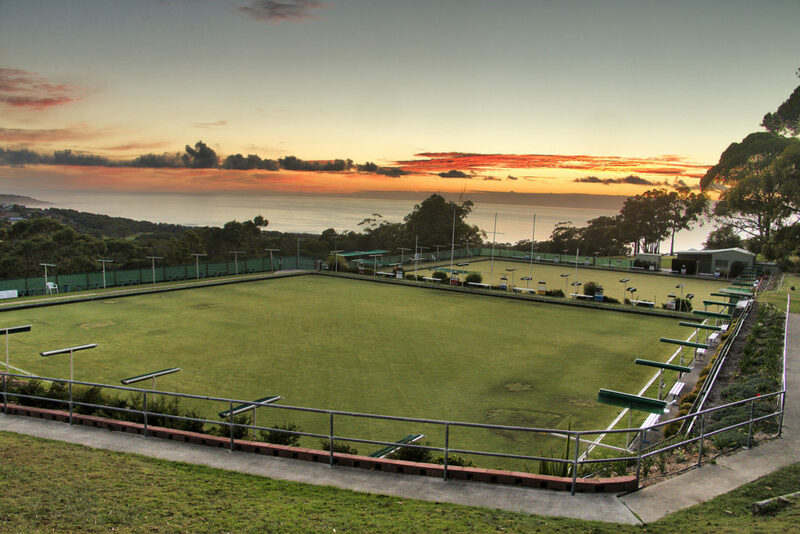 Tura Beach Bowling Club has two of the best grass greens in the region, both run between 12.5 and 15 seconds, depending upon the weather and what’s more are available all year around. The greens, “the million dollar views” and friendly people make playing at Tura a very pleasant experience. Social Bowls is available to all visitors, by puting your name down at the clubhouse the day before. Men’s is on Wednesday afternoon, Women’s Tuesday morning or Mixed Pairs Friday afternoon. Check the Weekly Program for full details. Visitor Fee is just $5 per person, and Bowls are available for hire from the Pro Shop also for $5 per person. You can always come for a rollup. Just check the Weekly Program to see what times are available. Jacks and mats on the green surrounds. Our Winter Carnival held in July each year, attracts visitors from all over South Eastern Australia. Keep an eye on the Bowls Events calendar for event details and entry form. You will be most welcome to join us in this fun two week carnival. If you are new to bowls, come down to the Club on Friday mornings around 10am and our coach Mike Reynolds or one of the senior players will be sure to help you get started in this skilful game.